Ideal place to stay to visit Disneyland® Paris and almost all of the beautiful monuments in Paris. 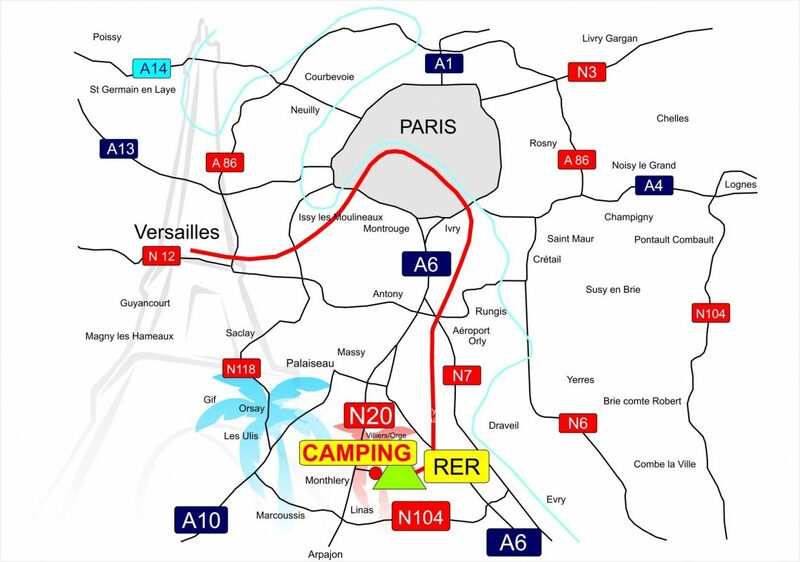 Camping Paris Beau Village is only 10 minutes walk from the train station of Sainte Geneviève des Bois, (RER C) which will take you directly in less than 30 minutes to the Eiffel Tower, Notre Dame, the Palace of Versailles, the Champs Elysees or the museums of Orsay and the Louvre. Train runs every 15-20 min from 5:45AM to 12 midnight and you can buy tickets or passes (Navigo) at the station or at the automatic kiosks (CB). 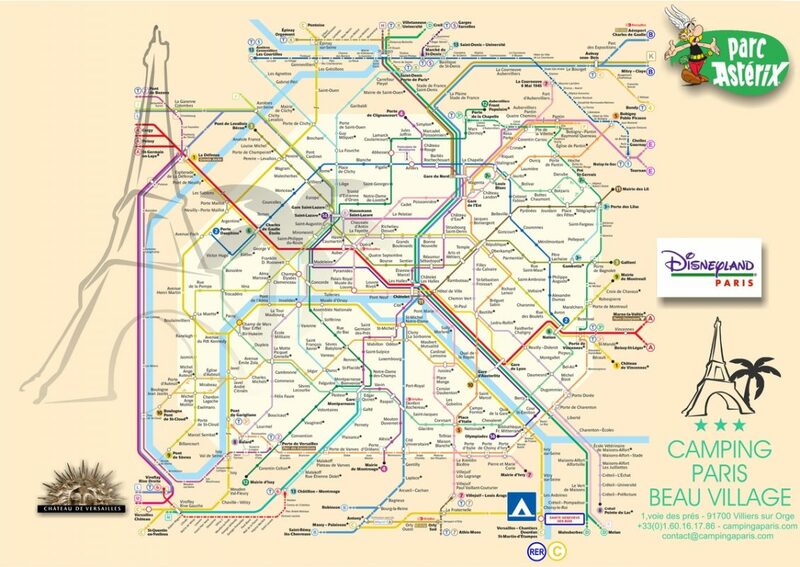 For children under 4 yrs old, the trip is free on the entire transport network of Ile de France. They travel free of charge anywhere on the Metro, RER, Bus and Tram provided they do not occupy any seat. 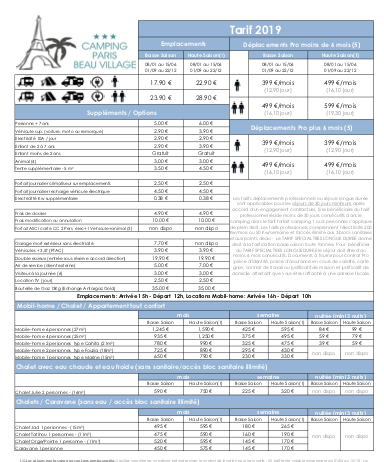 (50% discount is granted to all children between 4 and 10 years).